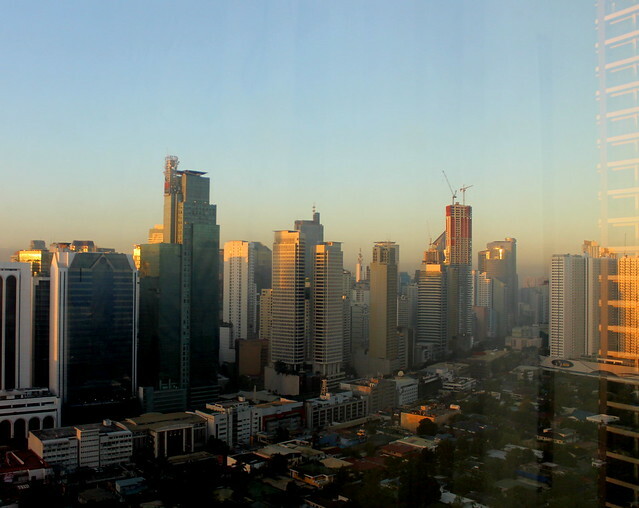 While the eastern US is experiencing record-breaking snowfall, here I am in Mactan island in Cebu, looking out at a blue horizon with patches of yellow, orange and red, and excitedly listing down my summer destinations. But this blog post isn't about my stay here in a beautiful hotel in Mactan (which I will also write here later). Neither is this about my summer wish list. 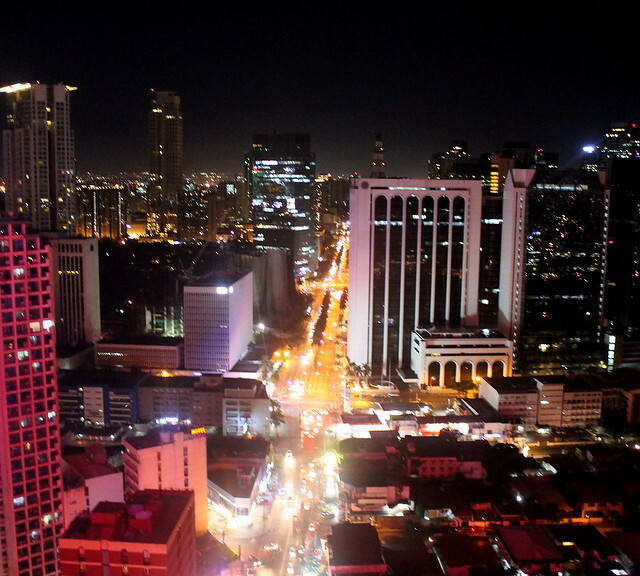 This is a flashback from two weeks ago of how I spent a random weekend in Makati. Year after another, we would always look for that new and still-to-be-experienced destination. Not that Boracay, Puerto Galera and the beaches in Batangas aren't great but we are always curious. But what if we are not as lucky as other people. What if, we are not allowed to leave the city? 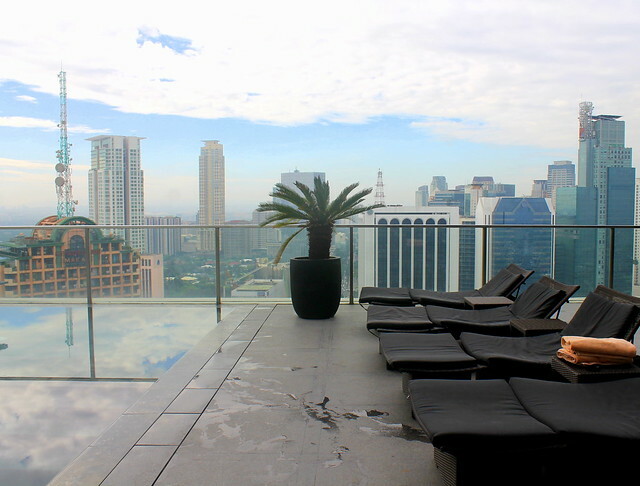 I found the perfect spot for you to enjoy the upcoming sunny season right within the bounds of Makati - in City Garden Grand Hotel where playing pretend to be in somewhere summer-ish isn't a challenge. 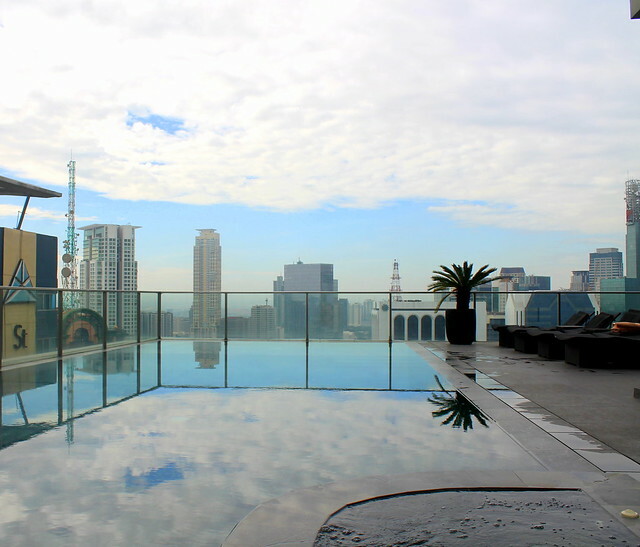 They have a stunning swimming pool on the 32nd floor, reflecting your favorite summer shade of blue and paired with great lineup of drinks from the restaurant. Great deal, isn't it? 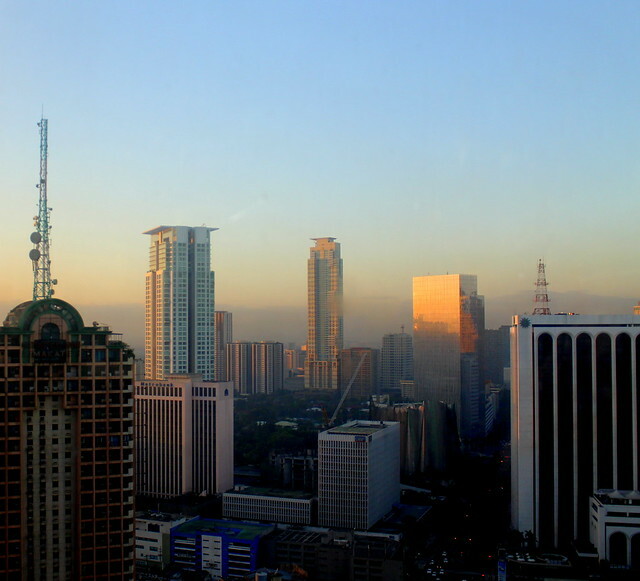 To avoid confusion, there are two City Garden hotels in Makati and both are located adjacent to each other in Makati Avenue. The first is the value-for-money City Garden Hotel while the second, which I will be sharing with you, is the 4-star City Garden Grand Hotel. 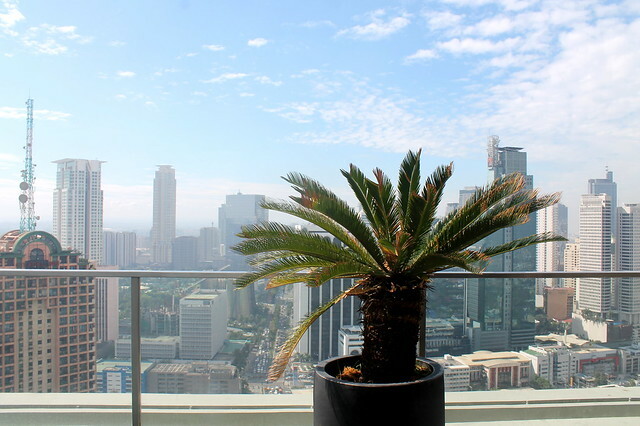 I was billeted to a lovely suite at the penthouse with a receiving area, a dining area, a bedroom (of course) and a breathtaking, floor-to-ceiling glass view of the Makati skyline. 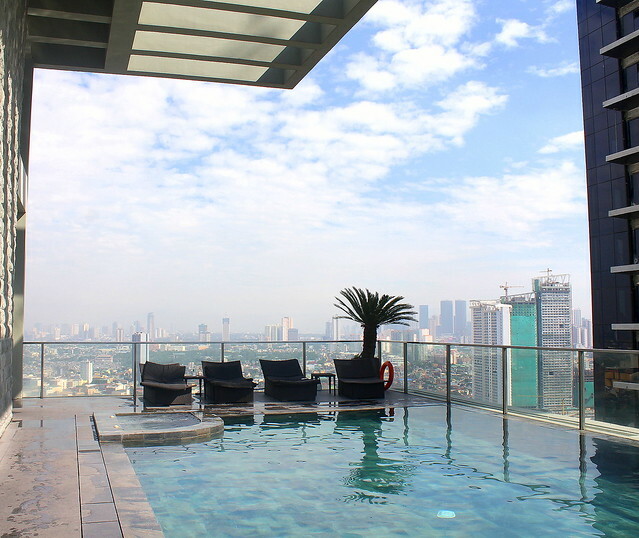 After enjoying the pool, I can imagine bringing my friends over for a night of hilarious stories, a suspense movie perhaps or games galore 'till sun up! 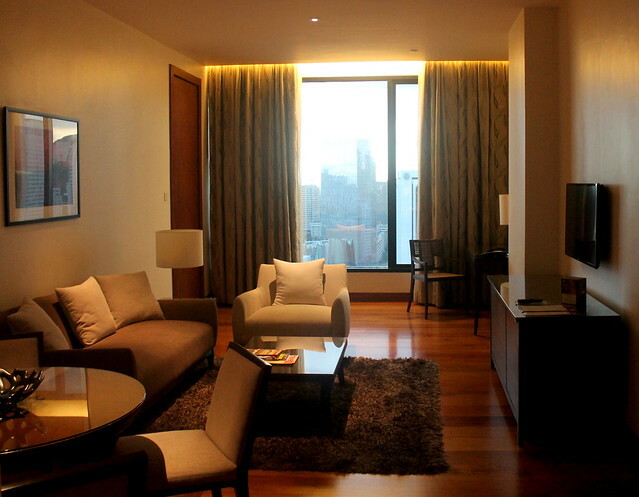 The suite is so spacious it can conveniently accommodate up to 20 people! 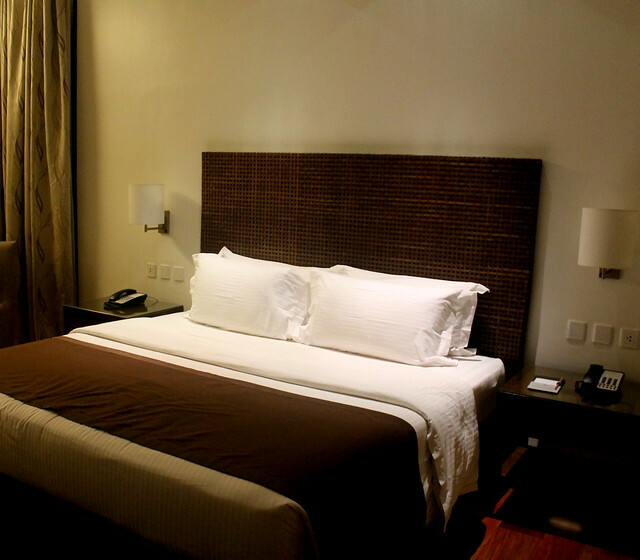 There are over 300 well-appointed rooms and suites in the hotel. 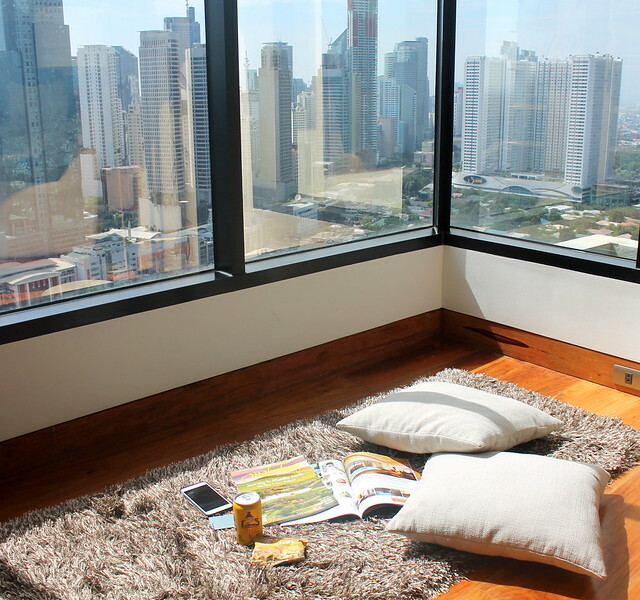 You maybe surrounded with the concreteness of Makati but the significant presence of Narra hardwood in each room/suite will give you a breather. There's just so much wood inside our suite, comparable to how it feels like in your accommodation while vacationing in an island. The basics are available of course, hypoallergenic pillows (is this "basic"? 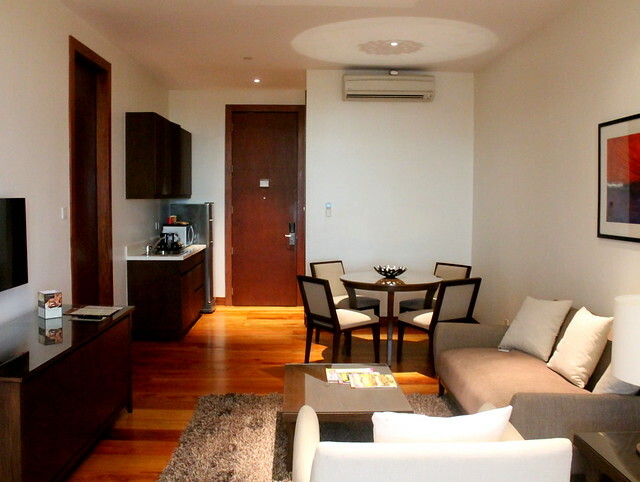 ), high-speed internet, high-definition LED TV (not one, but two in our suite! 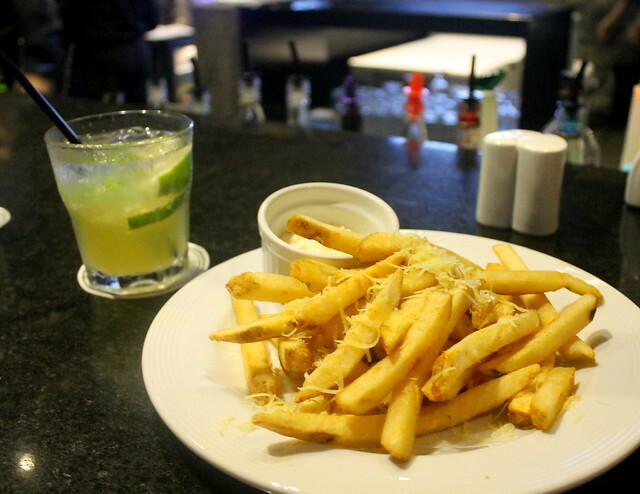 ), a fully-stocked minibar and for party's sake, a 24-hour in-room dining service straight from Spice, the hotel's buffet restaurant. 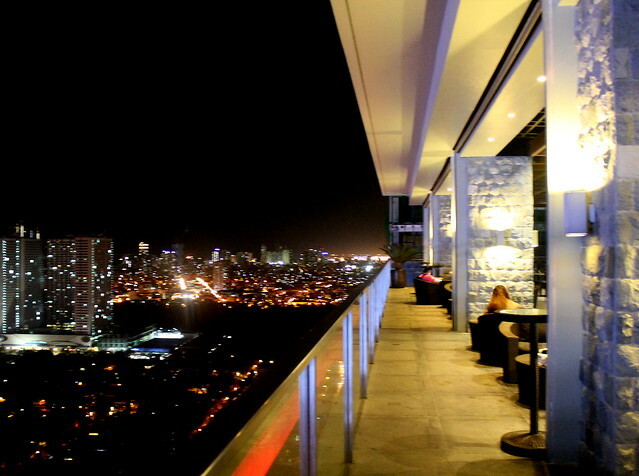 Aside form Spice, the Firefly View Deck Bar at the 32nd floor, beside the pool, is also ripe for romance or revelry. 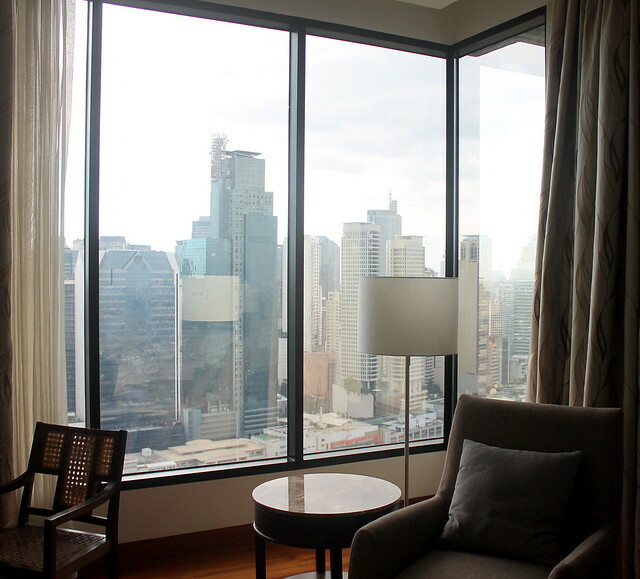 Price can be as low as PhP4,300 for a Superior Room with a king-size bed to Php11,100 for a Junior Suite with a king bed. 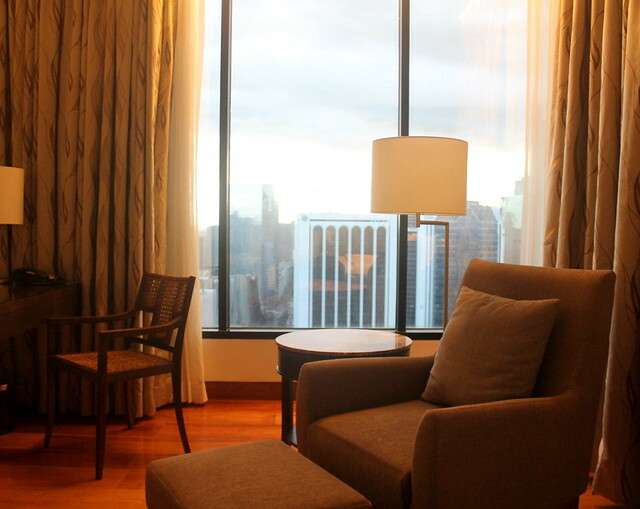 The Presidential Suite, meanwhile, with 1 king-sized bed, an indoor mini-pool and can accommodate up to 3 adults and 2 children can be booked overnight for PhP39,100. 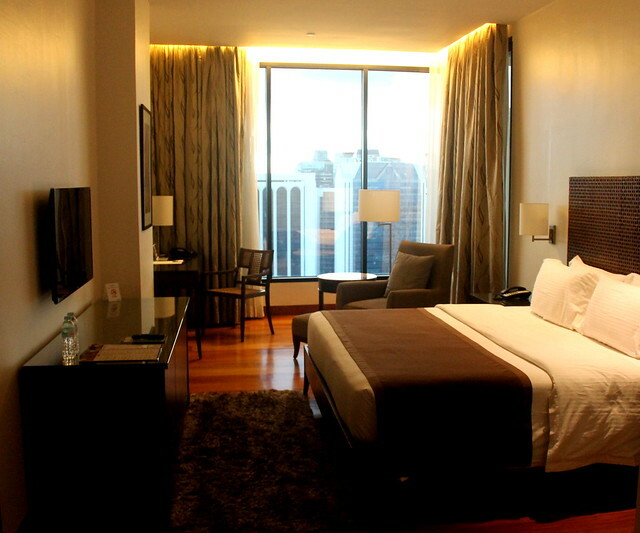 To book and to get more information, visit their website here - www.citygardengrandhotel.com. So, who's excited for Summer? I am!